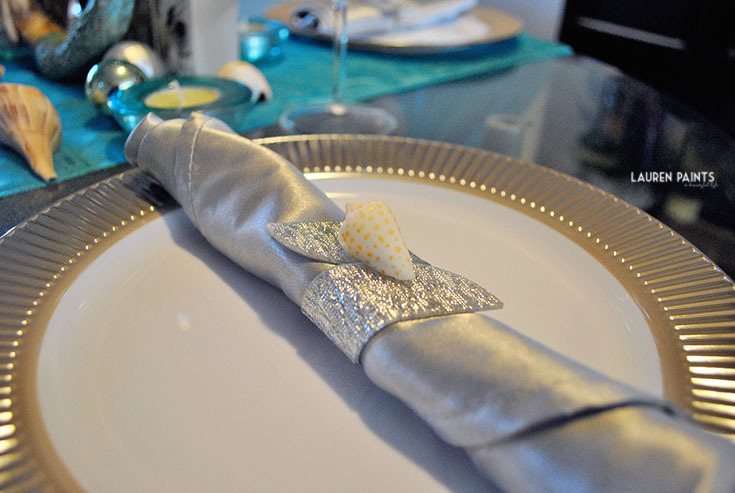 My Silver and Blue Holiday Mermaid Party - #SmartyHadAParty Table Setting and a Giveaway! 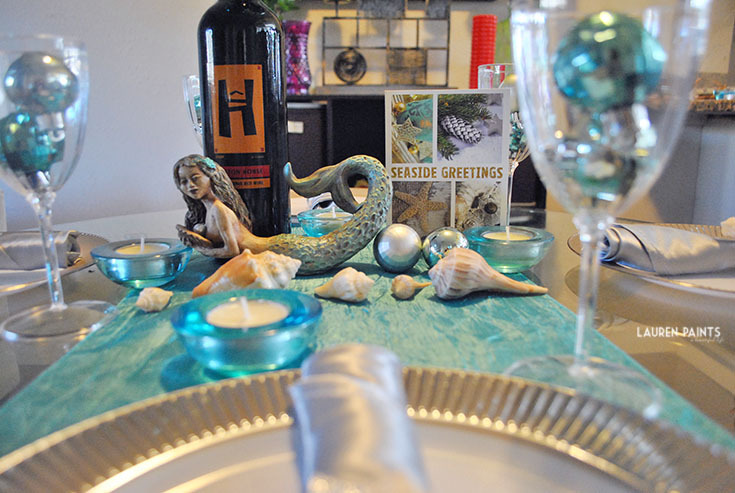 This year I wanted a different theme for my holiday table set up, I started brainstorming and since I live next to the beach a mermaid theme was what I finally settled on! I found the perfect decor from Smarty Had A Party, the nation’s top-rated online party store for entertaining! They have the best products for every party, from back yard pool parties to weddings, bridal showers, holiday dinners and special occasions! I looked through their collections and fell in love with the Silver Table Decor! I also knew I needed some blue so I decided on the teal table runner to spice things up! 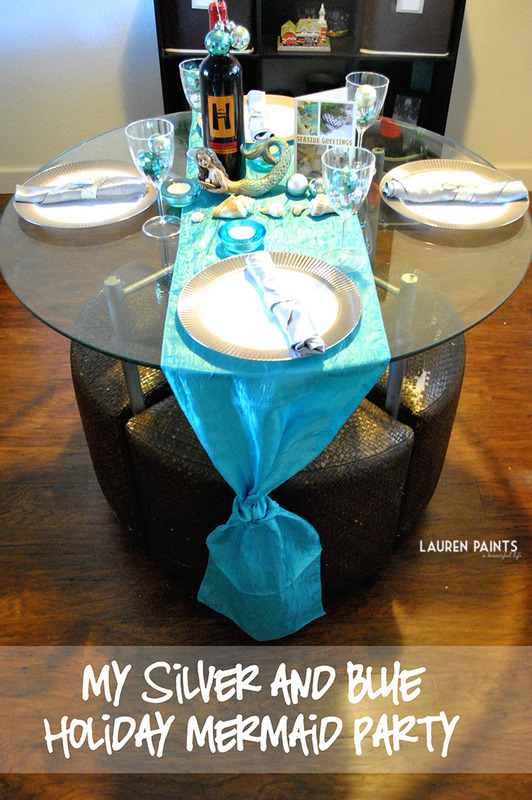 I added some seashells, a mermaid, and some ornaments to create the look I wanted and my table was set! Smarty offers the widest selection of budget-friendly, elegant disposable dinnerware, enabling party and event planners to save the expense and hassle of rentals! One lucky reader will also get the chance to throw a silver party as well! I'm giving away an entire party's worth of supplies! Disclaimer: I received one or more of the products mentioned above for free using Tomoson.com. Regardless, I only recommend products or services I use personally and believe will be good for my readers. Must be 18 or older to win. This promotion is in no way sponsored, endorsed or administered by, or associated with, Facebook, Twitter or any other company mentioned above. You understand that you are providing your information to Lauren Paints | a beautiful life and not to Twitter, Facebook, or any other entity, I will not use your information other than to e-mail you a winning notification if you are the chosen winner. Enter using the Giveaway Tools form above. Void Where Prohibited. Please note that Lauren Paints | a beautiful life and all other bloggers participating are not responsible for sponsors that do not fulfill their prizes.This offer is limited to residents of the 48 contiguous U.S. States.Smarty Had A Party reserves the right to provide an equivalent substitute, in the unlikely event that a product is out of stock.